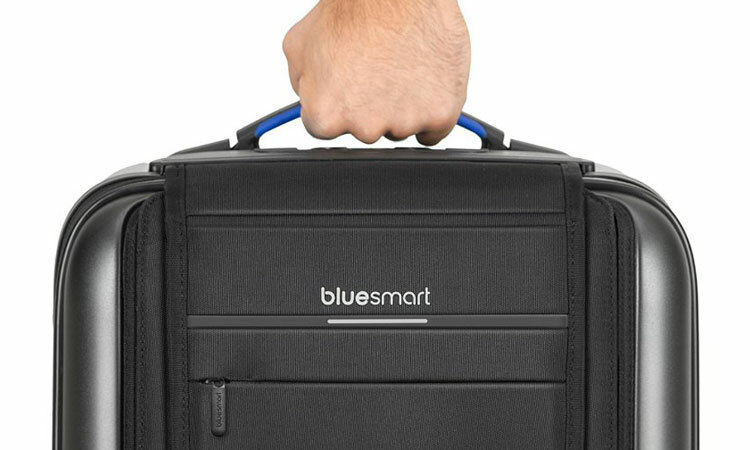 Bluesmart is the new kid in the luggage market. It is also the world’s FIRST Smart Luggage. Founded by two guys who got tired of losing luggage, the Bluesmart One was released in August of 2015. As a tech startup, they funded their research and develop through Indiegogo, a popular crowd-funding website. What makes this luggage so “smart”? Internal battery charger, GPS tracker, remote locking via app, an internal scale, and more! Is making your luggage smart worth the money? 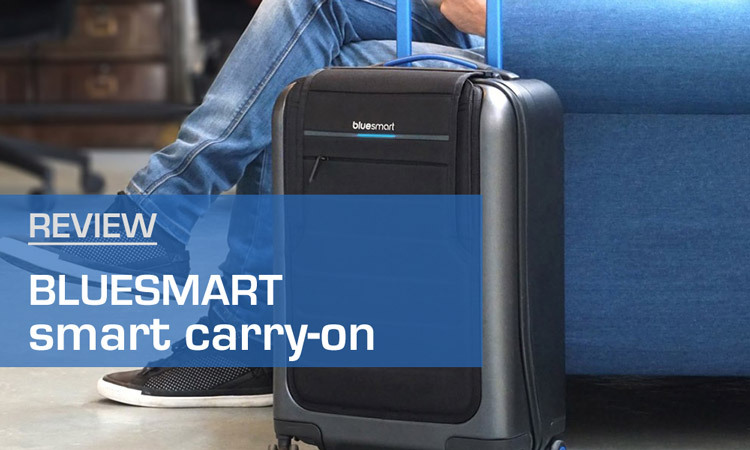 Check out our review on the Bluesmart One Carry On. Most likely you have heard of external battery chargers, or battery packs. Basically they are larger versions of the batteries that you have your in smartphone or tablet. You charge that battery to then charge your mobile devices when you are away from an electrical outlet. They are really great for travelling. If you are interested in this suitcase then it’s also quite probable that you already have one. 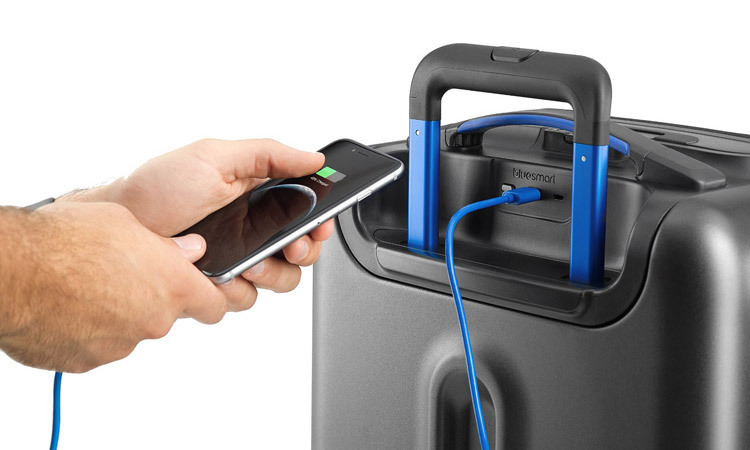 So what is the Bluesmart luggage have for it’s battery pack? According to their website it has a 10.400 mAh capacity battery. This should charge your phone 5-6 times. Nice. As expected, the battery is FAA approved, so you should not have issues in USA at least. It also has 2 USB ports so you can charge more than one device simultaneously. Ok, so is this feature really that important? Everyone’s phone runs low on battery while traveling. If already have an external battery pack then this only offers the convenience of not forgetting it or having to remove it from your bag. But if you don’t have a battery pack yet, then this is a nice bonus. And I can promise you, that once you have enjoyed having a battery pack with you while traveling, you will never want to go without one. This is definitely a very unique feature. And one that cannot be added to your existing luggage from a stand-alone product. The feature works along with your smartphone. Just download the iOS (iPhone) or Android app and sync it with your Bluesmart One suitcase. This allows you to lock or unlock the luggage via your smartphone. Another feature is the automatic locking when out of range. This means if you (with your smartphone) get out of range from your suitcase, then it will lock. So whatever the reason for you being away from your luggage, it will always be locked. For me, I am definitely impressed with this. Although unlikely, but if my luggage was ever stolen, or (more likely) the housekeeper at the hotel decides to take a peek, then I’m good. If you don’t want to use the app, you can manually lock and unlock it as well. Two keys are provided. And of course the lock is TSA approved, so they can open it for searching if need be. After setting it up with your smartphone’s app, this allows you to track where your luggage is. It has a SIM card and has global coverage with Telefonica. I really appreciate how they don’t try to stiff you with a subscription or fee to use this service. Many companies would offer a complimentary subscription for a year and then drop you. So kudos to Bluesmart with this. When I was first introduced to the Bluesmart One, someone criticized the GPS feature, saying it was a waste for a carry-on suitcase. And at first it seemed like he was right – that it was was a useless feature. But then I thought about some of the smaller domestic flights that often require even small luggage to be checked, whether its because of small overhead compartments, or because of a fully booked flight. And if you have your laptop or other electronics in that bag, you definitely want to always know where it is. Plus, what if it’s stolen? Or you forget and leave it on the bus or in a taxi? Yeah, I’m sold on the GPS tracking now. Weigh your luggage by simply lifting the handle. Although rare, at times you are asked to weigh your carry-on. And what’s a real bummer is if you are over and could have simply moved an item into a one of your checked bags… that you have now already checked. I know. It’s happened to me before. Well I must admit this luggage scale is as easy as it can get. You simply lift the bag up by the handle for a few seconds, and the weight is shown on the Bluesmart app on your mobile device. And for many of us, we are too lazy to go buy a dedicated luggage scale for $20, so this is a great feature. 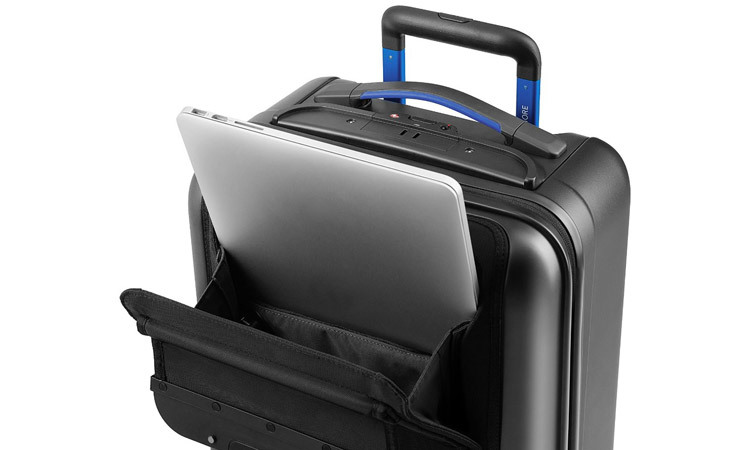 The Bluesmart One luggage has a very unique and polished appearance. First, it combines a hardcase design with a nylon fabric front compartment. 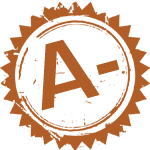 This provides a nice sturdy shape while giving it a different look. The nylon fabric, though, is really to pad any electronic device you put into the front compartment. An increasingly more common design choice with suitcases is hubless spinner wheels. They roll smoothly, quietly, and look sweet. The blue innards give it a nice flare. No issue with the handle. It’s solid and retracts smoothly. You might notice in that the USB charger ports are behind the retractable handle. It’s not a huge deal, but I do wish that the ports were located an inch further down so that the handle did not interfere when fully down. But hey. As long as you don’t slam the handle all the way down when your mobile device is charging, it’s not an issue. A rare feature with hardcase suitcases is a front compartment. Fabric luggage has long had them. But obviously you could not put anything important there as it was unprotected. 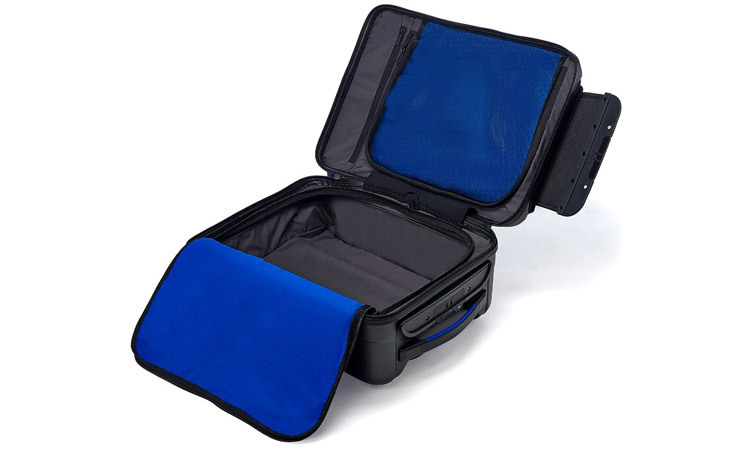 But with the hardcase on the sides and a nicely padded front pocket, your laptop or tablet can safely be stored there. Granted, having easy access this way does not good once your carry-on is stowed away in the overhead bin. However, while waiting at the airport, on the bus, or when going through airport security, being able to pull out your laptop in 2 seconds is a really nice change. In fact, I think I might be able to leave my laptop bag home now. I would have never done that before if I had to unzip the entire suitcase to grab it. Of course, the front compartment is limited in size. Tablets should have no issue. As for laptops, I think most newer thin 15″ ones and smaller will fit fine. If you have a larger 17″ laptop or an older thick one, then I don’t think it will be big enough as it can be quite snug once the suitcase is fully packed. But then again, if you are spending hundreds on a suitcase I would imagine that you don’t have an old clunky laptop! 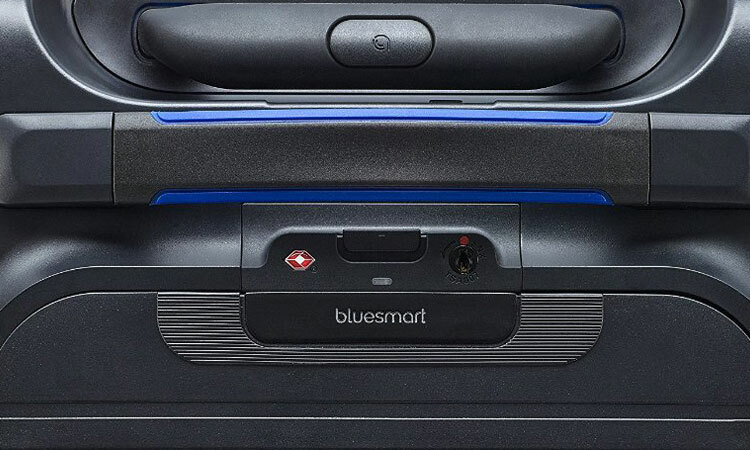 Like most mid-range and up suitcases, the Bluesmart One has a zippered divider on both sides. I’ve mentioned this before, but really all luggage should have this. Some will only have one divider. But if you start to open the suitcase upside down, then half of your stuff will start to fall out. With a divider on both sides, everything stays put and it provides nice pockets for toiletries and so forth. The only negative I see with the interior is that the top half is a little limited because it shares part of the space with the front compartment for your laptop. But hey. It’s not magic. Something has to be sacrificed to gain the front compartment. Just be aware though, that because of this you can only pack shoes on the bottom half (except for some women’s flats maybe). The hardcase sides seem to be quite durable and can take a beating. Bluesmart One’s hubless wheels appear to be design and built well, along with the handle. 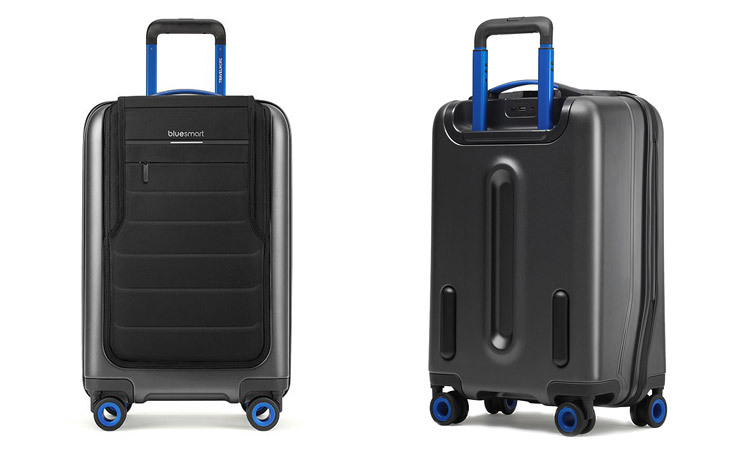 A unique aspect of the Bluesmart Luggage is that it has a nylon fabric front in conjunction with the hardcase. Now the fabric is black, but fabric can still nonetheless get soil or torn. Since this is a carry-on suitcase, though, it will probably not be so much an issue as checked bags are what really take the abuse. Ok so at a price point like this, there is some sticker shock. But it’s hard to judge how reasonable the price is because there are no real competitors yet in the Smart Luggage market. No doubt this will change with time and Bluesmart will have to lower their price to compete. But for now, you will pay to be one of the first to have smart luggage. To determine if the Bluesmart One’s “smart” features are reasonably priced, let’s build a smart suitcase with stand-alone products. Now of course, you could get all of that cheaper with a lower-end carry-on suitcase and save $150. But the Bluesmart One is not a cheap poly hardcase with techy features. So comparing creme brulee to creme brulee here, then the Bluesmart One is within $30-$80 of a suitcase with the same features. So is the Bluesmart worth spending up to $80 more? Well it depends. Do you really want the Remote Locking feature? Then this is your only option, as it cannot be added to other suitcases. Do you want to buy and bring a separate luggage scale, GPS tracker, and battery pack? If not, then this is your only option. To reach a larger market, the Bluesmart should really retail for $50-$75 less. But personally, I love to bring as few things as possible when traveling. It’s less to forget to bring and less to accidentally leave behind in a hotel. Plus it has a cool LED light in the front. It probably only cost $1 to add, but it looks totally sci-fi. And I like sci-fi. It’s possible that the occasional remote locking glitch has since been resolved from a firmware update, as it’s been a number of months since those reviews were posted. Or maybe not. I was not able to find anything on their website as to firmware updates. Now having issues with security screening is definitely something to consider if you are traveling out of country. The issue comes from the integrated battery pack since those are typically removed from your luggage during the screening. Most people who said they had issues had connecting flights in Middle Eastern and African airports, like Dubai, Qatar, Cairo and so on. I think TSA agents in the USA may have had more exposure to the Bluesmart One, as I have not read of anyone having an issue in the USA or Canada. But if you travel to those more cautious countries then it might be best to stick with external battery packs. Many business users will find the price point worth it. But for the average consumer (excluding technophiles) who only travels a few times in the year, this will probably be overpriced. If you travel often, then the built-in battery charger will be your best friend. You never have to worry about leaving your battery pack at home. GPS tracking will give you peace of mind. You will impress your friends with the remote locking feature via your smart phone. And you will catch people’s attention with the Bluesmart One Carry On stylish and unique look. If you don’t need all the tech features, my favorite carry-on is the Timbuk2 Copilot. A lot cheaper and more durable too.